Thank you for being my rock. Thank you for giving my feet a solid ground to stand on. 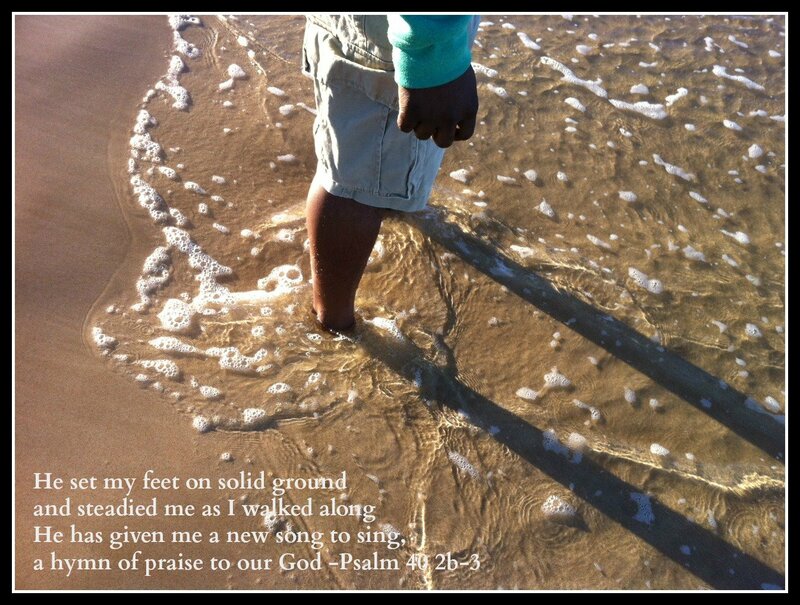 Thank you Father that even in the storms of life you are my solid foundation. Thank you Father for giving me a new song to sing. Thank you that you never give up on us. God I know at times I look at everything else but you and please forgive me on those days and moments. God I know in my heart of hearts you have everything under control however when I hear rumblings of an earthquake in my world, I look to the world for refuge instead of you. Please forgive me on those days. Lord thank you that you can calm our fears and give us wisdom on what to do next. Thank you Lord that you are the director of this God Sized Dream which has your handprint all over it. Thank you for creating me to fulfill that dream. Heavenly Father we are excited about the adventure even on those days when we want to turn back out fear. Thank you for calming our anxiety and giving us the boldness to move forward.